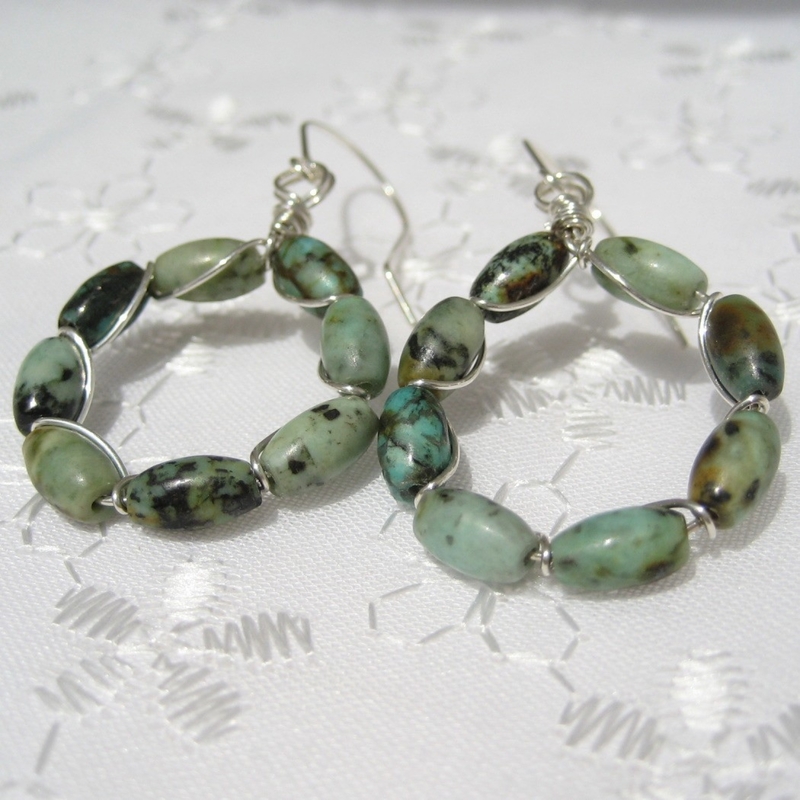 Sterling silver-filled wire surrounds African Turquoise rice beads, gracefully weaving between each bead, forming hoops, just under 1 inch in diameter. Hangs from hand-formed sterling ear wires. 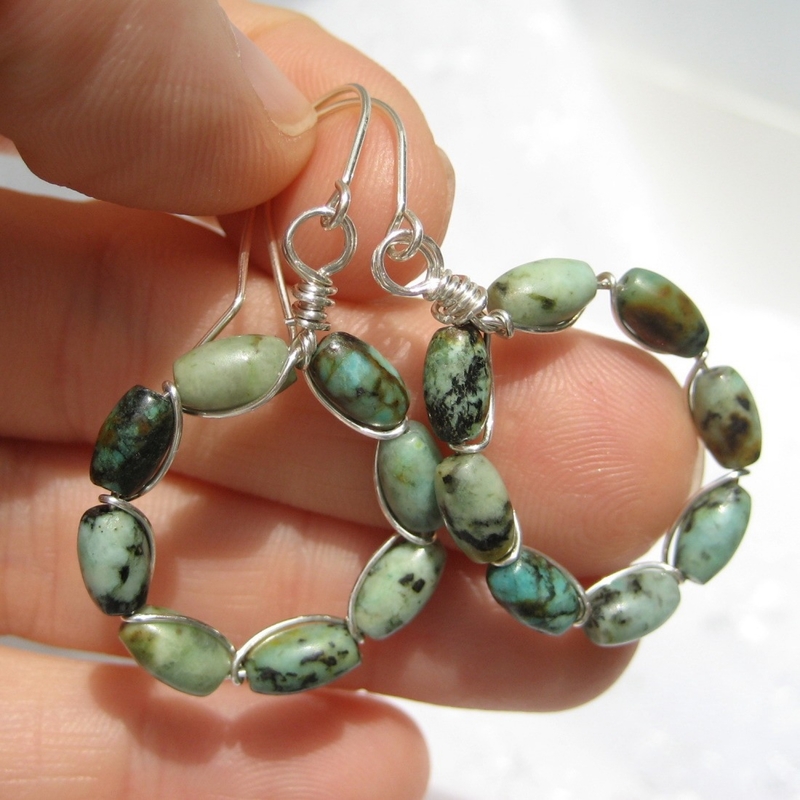 African Turquoise is actually a stone from the Jasper family. 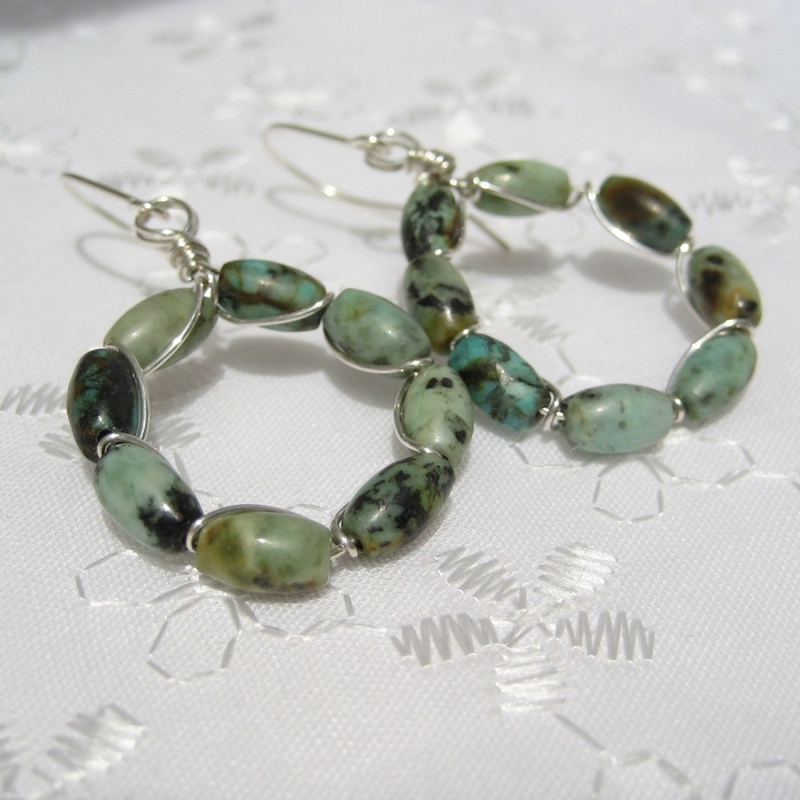 It has a matrix similar to that of turquoise, and is mined in Africa, hence the name. 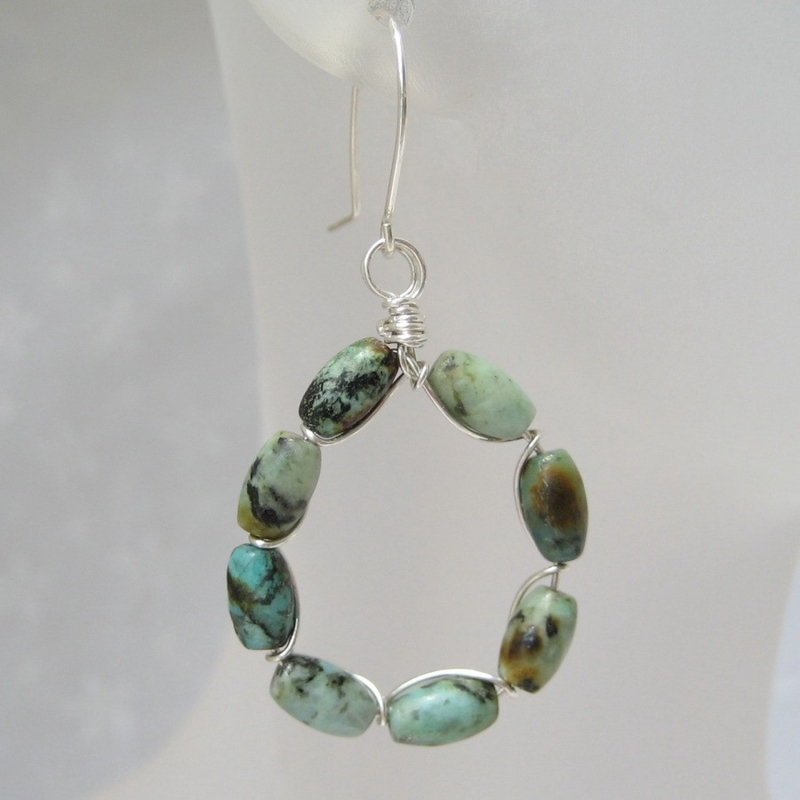 Measures approximately 1 3/4 inches in length from top of ear wire to bottom of bead. 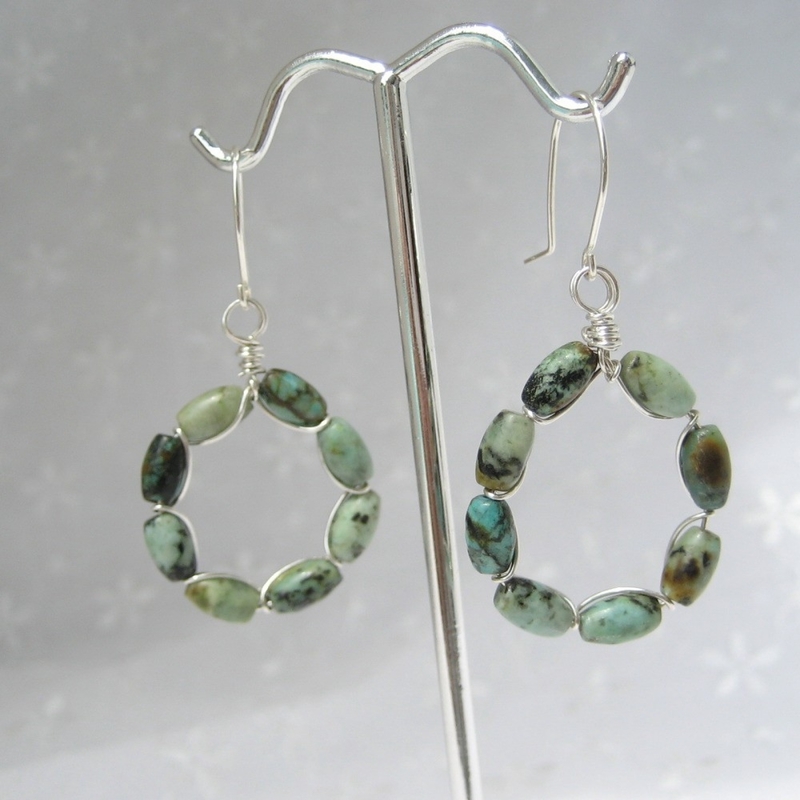 These are promptly made to order and quickly shipped. Please note that the stones may vary slightly in pattern.